Amanda grew up in Flower Mound, attended the University of Oklahoma, and then lived in Florida for a few years before settling in Fort Worth. She currently works as an Executive Assistant at American Airlines and commutes to and from south Fort Worth. “I work kind of far but I love Fort Worth. I don’t want to move,” Amanda said. After a Mavericks game a few years ago, Amanda and her dad, Bill, googled for ice cream and discovered MELT. Not long after, Amanda also introduced her mom, Susan. “Of all the crazy flavors she fell in love with Beans!” Amanda said. Amanda even offered to let Susan try our Snowflake flavor one winter — a white chocolate ice cream with house-made peppermint candy pieces — since her mom loves mint ice cream. No go. She only wanted Beans! Susan is not alone. Beans is also one of Amanda’s favorites, along with Take Me Out to the Ballgame, Snowflake, and “of course, Salt Lick." Last year, Bill and Susan retired to Spokane, Washington. They are visiting Ft. Worth at the end of September and already have plans to visit MELT. Plus, 5% of the sales from every scoop of Beans go directly to The Net FW, our 2017 nonprofit partner. 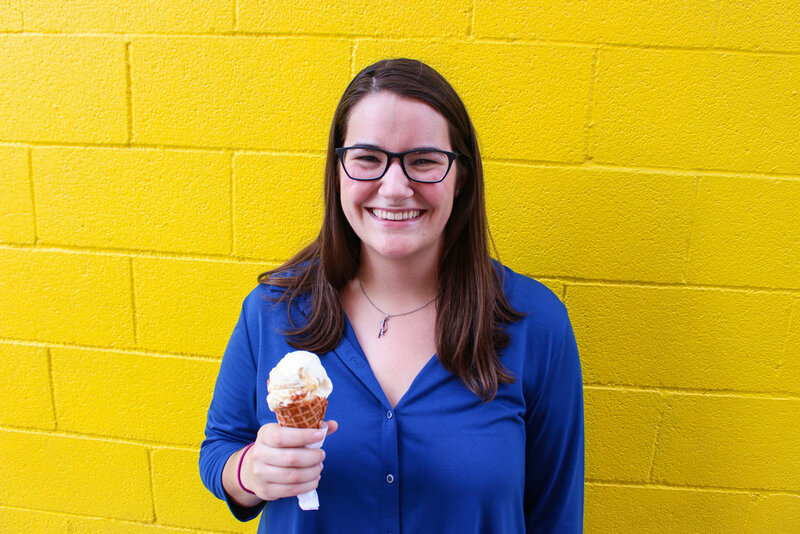 Cheers to Amanda for such commitment to her adopted hometown and Beans, the vanilla ice cream that gives back.